See more objects with the tag lighting, cylinder, tool, flared, portable, movable, orange plastic, conical. See more objects with the color grey darkslategrey dimgrey chocolate peru or see all the colors for this object. This is a Flashlight. It is dated ca. 1980 and we acquired it in 1994. Its medium is molded plastic, aluminum. It is a part of the Product Design and Decorative Arts department. 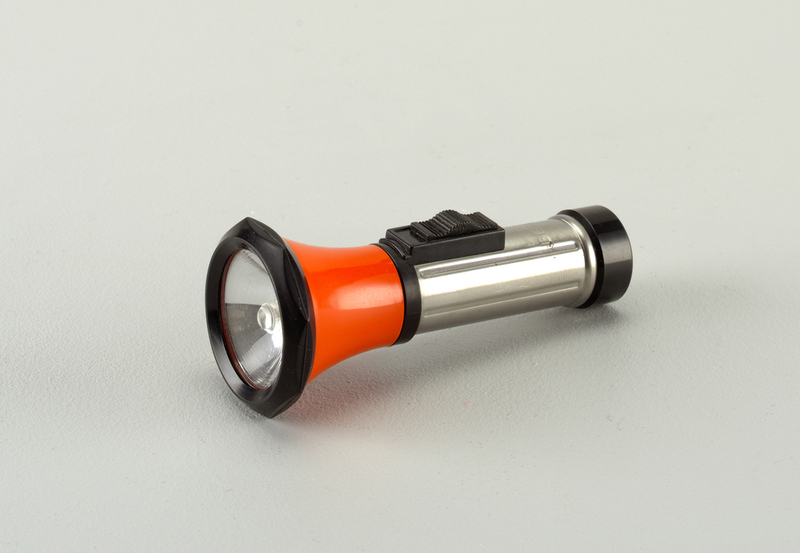 By the 1980s, flashlights not only had to be durable, they also needed multiple features in order to stand out in the growing variety of handheld lighting devices. 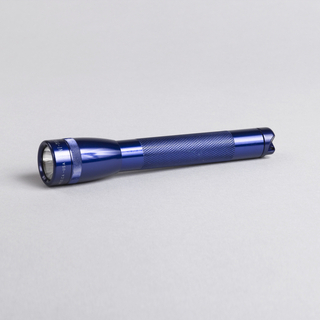 Berec – the British Ever Ready Export Company, the South African subsidiary of Every Ready – developed this durable mixed-material flashlight to meet these demands. The conical orange and black plastic lamp housing partially turns and rises to create a second lighting setting: a focusing beam. machined anodized aluminum alloy, krypton lightbulb. Stamped on metal shaft, under switch: "BEREC"